I am addicted to reading. I finally admitted this to myself after years of self-denial. If there is nothing to read, a cereal box will do. But, good stories change my life. I know nonfiction is fantastic for changing lives (heck I write nonfiction for that reason), but for me, a splendid story gives me something I can think about and swish around in my life forever. So, after writing a few nonfiction books I wanted to challenge myself to write a fiction book. I was afraid, and that bugged me. Plus, I wanted to write a story that swished around in people’s lives for a long time. 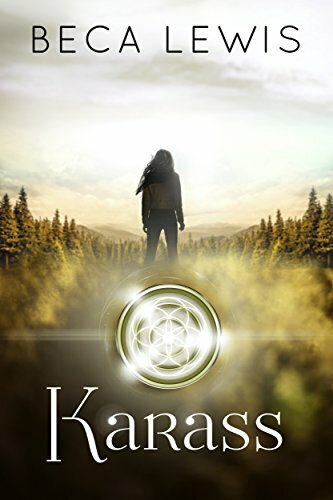 And now that Karass is out in the world, I want to write more. That, I believe, is a good thing. A few of the characters in the book are composites of people I have known. I took some of their characteristics and mixed them with other people to better tell the story. I also used places I have lived as a background so I would know what I was describing. But, most of the characters are imaginary. I would be writing along, and one would pop in and introduce itself, and from then on, the story progressed based on what they brought to it. I heard a writer say once that when you write a book your own point of view creeps in somewhere. This is certainly true in this book. I tried to stay out of it. But, half way through writing it I realized what was happening, and after a day or two of panic realized that it wasn’t all that bad for my readers to know me – if just a tiny bit. The forest waited. Countless raindrops fell on its moss floor, feeding the green carpet laced with ferns and studded with acorns. Generations of birds sang songs, built nests, raised their young, and sent them off to fill the forest’s vast expanse. Endless suns and moons rose over the rolling wave of treetops. Still, it waited. It wasn’t time that passed; it was patterns of light and darkness, weaving an unbroken tapestry.The forest knew, however, that once again the moment was approaching when they would arrive, and it would both host and hide them while they planned.